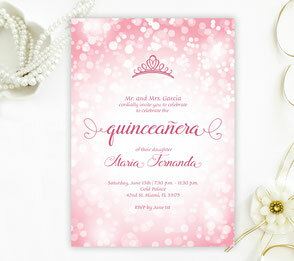 What is the theme of your Quinceanera party? 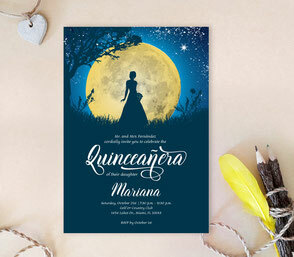 If you haven't decided yet, we recommend you to choose your favorite design from our beautiful collection of Quinceanera Invitations. 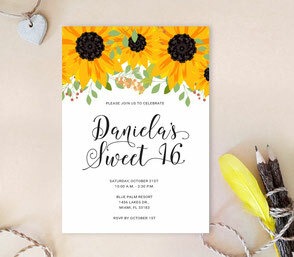 Maybe palm tree for the beach event or sunflower for the rustic themed party. 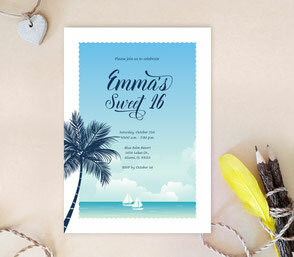 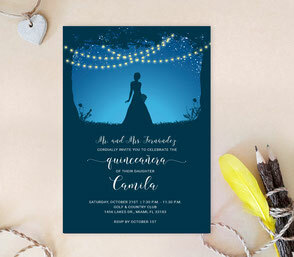 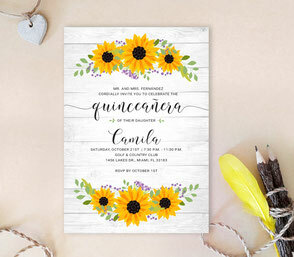 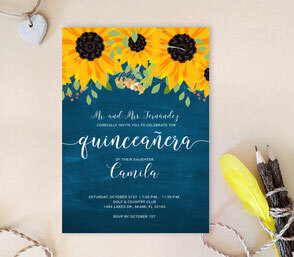 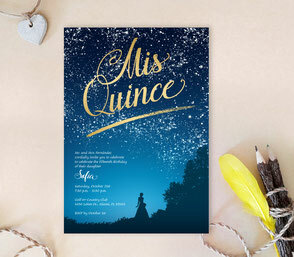 Our unique Quinceanera Invitations printed on high quality paper will help you to set the mood to celebrate this special day with your family and close friends. 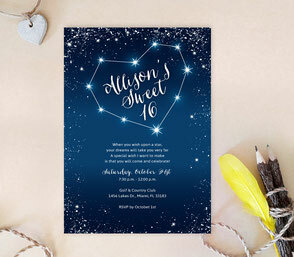 Our Invitations came and are absolutely gorgeous! 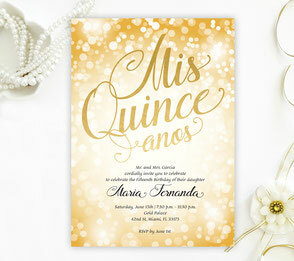 Elena is extremely helpful, kind, patient and will work with you until it’s exactly as you want it. 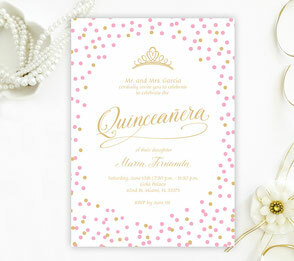 Very insightful, knowledgeable, helpful couldn’t be happier. 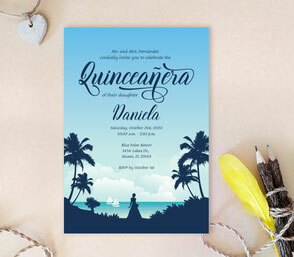 She also is quick to respond/ meet your expectations.